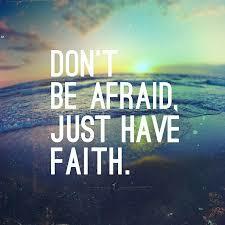 In troubling times or any time we are instructed and encouraged to have faith in God. God is still our refuge and strength even when the world seems dark and foreboding. Review the key verses from todays four passages and allow the Holy Spirit to strengthen and renew your faith today. The future is secure in Christ Jesus for all who believe. God is remains faithful and invites us to put our faith and trust in him. (Romans 3:22) This righteousness is given through faith in Christ to all who believe. There is no difference between Jew and Gentile, 23 for all have sinned and fall short of the glory of God, 24 and all are justified freely by his grace through the redemption that came by Christ Jesus. This past weekend a friend of ours in southern Illinois, Mike Quandt, suddenly past away dying of an apparent heart attack while doing yard work. He was 57 years old. While this is a horrible event in itself, it could be far worse. First, I believe Mike to be a Christian, so I will be catching up with him when my time comes. Second, both of his daughters, Sara and Whitney, are adults, married, and able to fend for themselves. He leaves behind a wife, Tami. Our thoughts and prayers are needed for this difficult and unexpected situation. One of the lectionary readings for today is from the book of Job. In our daily living we have our perspective vs. God’s perspective. Our sense of timing, which is understood within the context of movements of everything vs. God’s timing which is beyond the movement of anything. Our understanding vs. His understanding. What we have amounts to wrestling with God, much like Jacob (Gen. 32:22-32), in both a figurative and literal sense. In Job 22, we have one of Job’s friends, Eliphaz, attempting to explain to Job why he is in the situation he finds himself in. Job’s problems stem from his inattention to those surrounding him – the hungry, thirsty, widows, and orphans (vv. 6-9). This commentary goes right along with OT generalizations regarding the fate of the wicked and blessings for the just. In Job 23, we have Job’s bitter complaint towards God – he cannot find Him (vv. 3, 8-9) anywhere. Yet, Job does not lose his faith in God (v. 10). To me, this is the high point of the book. Nevertheless, Job is mystified and terrified at God’s actions or inactions towards him at the present hour (vv. 13-17). It seems to me, this is where many of us live from time to time. We’re left to ponder why? This past Tuesday I was subbing for a Freshman English class during which the kids were taking 2 tests. I observed one young man simply give up. It was obvious he had not studied and prepared, so he resigned himself to failing. It reminded me of my Senior year in High School when I forgot about a major literature exam and didn’t study. With the help of a friend, I cheated on the test and knew I’d gotten an “A”. Well, within about 20 minutes of leaving the class, I just couldn’t handle the guilt I felt and went back to the teacher and tearfully confessed I had cheated. I was ready to accept the consequences of my actions which paled in comparison to the spiritual anguish I had just put myself through. My teacher was merciful, forgave me, and let me re-take the test–a different version, of course. I earned a good grade. David describes this spiritual struggle and triumph in Psalm 32:5. When we pursue godliness, the Lord responds with love and mercy. Proverbs 15:9 tells us, “The Lord detests the way of the wicked, but loves those who pursue godliness.” The word “pursue” is really important here. Scripture doesn’t tell us to be perfect, to never sin or God won’t love us. Rather, if we confess our guilt and continue to strive to be like Him and honor his commands, we enjoy peace, joy, and a thriving relationship with Him and others. The mercy my teacher showed me is nothing compared to the mercy of God who forgives us when we go to Him and are honest about our short-comings. I’m so thankful for a God who loves me as I am, sees my heart, and allows me to continue to pursue godliness and receive his love. This is Grace, and it relieves my guilt. In the incredible story of Ruth, we find through unforeseen calamity a woman, Naomi and her daughter-in -law Ruth in poverty, with no one to provide for them they are reduced to gleaning the fields for their sustenance. Upon notice of the owner they are given extra sloppy harvesting waste (to their advantage). Then with instruction from Naomi, Ruth the Moabitess, went to Boaz after the days work and laid at his feet, upon arising the next day he proceeded with the process of redeeming Naomi and Ruth. As a kinsman he was legally able to pay the redemption price for their future, in redeeming land and rights. in Mark 5.22 we see Jairus, a synagogue official, fall at the feet of Jesus, on behalf of his daughter who was at deaths door. As Jesus enters the room of the now dead girl He takes her by the hand and brings her to life. In Mark 7.25 , a Syro-Phonecian woman beseeches Jesus falling at his feet for the release of her daughter from demons. Upon much pleading, because of her tenacity and faith Jesus casts the demon out of the daughter. In our hymns we sing about falling at the feet of Jesus, or taking our burdens and placing them at the feet of Jesus, we are are on pretty solid ground with these concepts. Because Jesus tabernacled with us He is our kinsman, and because He paid the price for our sin by His death and resurrection, He is our redeemer. In humility we can come to Jesus and get phenomenal answers to our prayers, for He is more than wealthy enough to pay the cost and is more than willing to do so. In this short passage there are several different takeaways that can be immediately applied to our daily lives. In the first paragraph, we hear that we are to be willing and eager servants, and to lead by example. In verse 6, we are told to be humble and to give all anxiety in our lives to God because he cares about us. Next, we are told to beware of the devil and to stand firm in our faith. Finally, we are reminded that God is always there for us, and even though we may go through sufferings from time to time, He will restore us and make us strong. Last week I was talking with a dear friend and catching up about life and all the things going on in their life.As the conversation went on, I was overwhelmed by one thought: Love for God trumps fear. Fear of the unknown, fear for the future seemed to face away in the presence of faith in God. I have to admit that this is in many ways a strange concept for today’s world. We tend to worry about tomorrow, we let fear conquer our lives without even realizing how it will affect us. In many of the conversations that we have, if we pay close attention to what is said, we find people worried, or carrying a certain feeling of worrying. And that is normal. We are human after all. But as Christians we cannot let ourselves get stuck there. We have to go beyond worrying, and uncertainty. We have to go the place where we remember who we are in Christ, and letting God’s love be our strength and source of life for anything that life might bring our way. It is this reality of living in Christ, that helps us move on when the storms come in our lives. It is faith that keeps us moving on, when everything else around us seemed to try to stop us. Today I pray that we all can grasp the love that God has for us, and the way God provides for us time and time again. If you want to know how a community of faith should live…1 Corinthians 13 provides a deep and intense picture for us. It also provides a huge challenge. Simply put…a church must do more than believe! The church must be a church of faith, hope and most importantly, love. We Christians may possess any and even many spiritual gifts…but…without love, each gift is useless. The same is true for the gathered body of Christ…the church. The Church must do more than believe… I’ve been reading lately about Auschwitz and the internal crisis the Jewish people had with other humans who wanted to eliminate the entire Jewish population from the face of the earth and, yet, go to church on Sunday…Nazis reading Scripture and singing hymns along with German Christians who “exalted the racially pure nation and the rule of Hitler as God’s will for the German people” (PCUSA Confession of Faith – Declaration of Barmen, May 1934). A Church of faith is not measured by it’s successes – Why? Because God’s definition of success and the world’s definition are diametrically opposing. 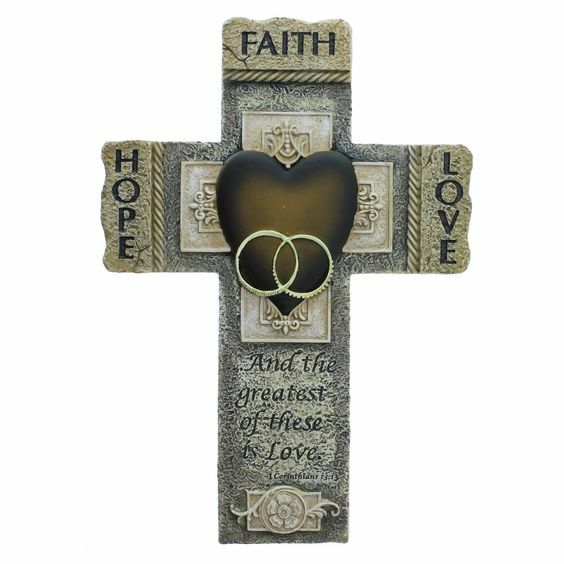 God’s idea of success for individuals and his Church is the cross…agape love…love of the undeserving…love that gives. In May 1934 some in the churches resisted. Among those few determined church leaders who did oppose the church’s captivity to National Socialism were pastors Hans Asmussen, Karl Koch, Karl Iraruer, and Martin Niemoller, and theologian Karl Barth. Our mindset, our attitude shapes how we see life, the Lord, and other people. The Pharisee in Luke 18 has an arrogant attitude toward others; he is better than other people. There’s no doubt in his mind and he tells God all about his superiority in his prayer. He doesn’t need anything from God. The Tax Collector, in absolute humility. begs God for mercy. He falls before God understanding that he has tremendous need for grace. Our attitude shapes our mindset; that is how we see others. how we see God, and how we serve others and follow Jesus. Sometimes I need an attitude adjustment that I might walk humbly with God, remember the extraordinary grace of the Lord Jesus to me, and then serve humbly and faithfully. 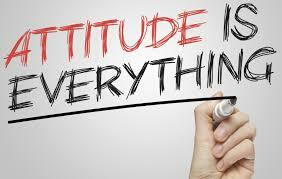 How is your attitude today? Do you have a mindset to humbly ask God for mercy and to joyfully serve others in Christ’s name? Do you need an attitude adjustment like me? Yes, our Attitude is significant but Jesus is everything. On the political trails, one hears comments such as “he did such-and-such and that disqualifies him from being such-and-such” or “she prevented such-and-such from happening by having such-and-such influence…and therefore she never be elected such-and-such.” I need to give my thoughts freedom on the subject of leadership. To begin, let us review the biblical record of five noteworthy men – two led the nation Israel, one saved a great city from destruction, and the last two are keenly responsible for the spread of Christianity in the Roman Empire and our understanding of it. Moses had difficulties communicating (Ex. 4:10). In his youth in Egypt, he killed someone and “covered it up”(Ex. 2:11-12) the ran. Eventually, he suffered the consequences of this act (Deut. 32:48-52). He was known to have fits of anger and suffered from a lack of faith (Num. 20:7-13). Jonah was a stubborn and disobedient (1:3). He was a belligerent complainer (4:1-3) that caused great difficulties not only for himself but, also for innocent sailors (1:4-9) who were not remotely responsible for his forced business trip to Nineveh. David, the one referred to being “a man after God’s own heart” (1 Sam. 13:14), led a troubled life. He had difficulty telling the truth (2 Sam. 11:7-8, 12-13), with covetousness (2 Sam. 11:3), with stealing (2 Sam. 12:9), with adultery (2 Sam. 11:4), and he was a murderer (2 Sam. 11:17, 12:9). By my reckoning, that’s an infraction of half of our Ten Commandments. Saul began his public life as a Pharisee and a persecutor of the early church (Acts 7:58, 8:3). After a change of heart and name to Paul (Acts 9:1-22) his attitude changed. Nevertheless, he was known for his temper (Acts 16:18), his arrogance (Acts 16:37), his disrespectful attitude towards others (Acts 23:3), and led a life fraught with risk taking (2 Cor. 11:24-27). Peter, the so called “rock” (Matt. 16:18), was not exactly a scholar or a gentleman (Acts 4:13) at the start of his ministry. He was known to be irritable and angry (Jn. 18:10). These two led to a preponderance of hasty and, at times, rash (Luke 22:31-34) decisions. Of course, all of these leaders had positive attributes. No person is perfectly bad. Chief among their positive characteristics was their overall faith and willingness to work with God to further His kingdom. That’s the rub. Which of our present day candidate(s) seems more open to God’s leading? Which candidate(s) do you think God prefers? These are difficult questions to answer, especially based on their highly checkered past. History seems to suggest that good leaders of a society came from societies that were, generally speaking, good. And vise versa. Dickens penned something like “…every person living is a profound mystery…” Nevertheless, withstanding these bits as a backdrop, we must still decide. It would be useful to have knowledge of what makes these people really tick, unfortunately we can’t. Only God can (Ps. 44:17-21). We are left to ponder and especially to pray about it.